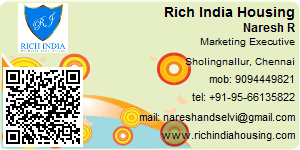 The Rich India group started in the year 2004 has countless business partners as of today. in their recognition of their hard work with commitment, their share in the company growth, their business achievements and individual talents ,the group honoured the business partners by giving them higher designations with greater responsibilities.  Even birds dont live in borrowed nests; whereas a majority of us live only in rented houses. We all of dream of owning a plot of land, build a home to our liking and happily there. We can buy gold by testing its purity! What about a plot of land? We can buy a plot of land only by trusting the person selling that plot of land. Rich India is trustworthy organisation that has 100,000 plots of land in the last 9 years. Rich India has plots of land in most of the cities like Chennai, Trichy and Coimbatore inTamilnadu and also in Puttur, Andhra Pradesh. Expert Reviews By Rich India Housing Pvt. Ltd. It is future valuable place. Where goverment has announced several projects like Thirumazhiya, dry portand, new airport. If u invest now u will get back good returns. Skc Jeeva Aathish is a leading apartment of the locality of Kovilambakkam. It provides all the modern amenities which are essential for living. Asia's 2nd largest airport is near Bangalore National Highway. By investing here there will be a good future in commercial background. Manavur is located in the Tiruvallur district which is currently getting which price of the land are getiing increased day by day. Owning property here is wiser idea and a great protection to ur family. Kodambakkam is most important place in Chennai. It has the famous temples, Church and many of the cinema celebraties living there therefore living there becomes prestigious. Girugambakkam has become new Chennai Metropolitan Area. That shows CMDA Approved granted for Residential Plots in this area. Maduramangalam is the best place for living because it is surrounded by needy of our day to day life llike collage, school, hospital, bus terminus are connected with a reachable distance. A fresh air surrounded by free of pollution is present here. Maduramangalam is the one of the fine places to invest for long term appreciation. It's value will be unpredictable after five year. So it a good idea to invest there now itself because the future international airport construction is going on near to Madhuramangalam. Almost in the center of the town, it has all the basic features with the main areas nearer to it. Company: Rich India Housing Pvt. Ltd. 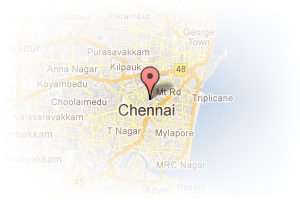 Address: RAMS Habitat, Sholingnallur, Chennai, Tamil Nadu, India. PropertyWala.com » Chennai Real Estate » Chennai Brokers / Agents / Consultants » Rich India Housing Pvt. Ltd. This Broker Profile page for "Rich India Housing Pvt. Ltd." has been created by PropertyWala.com. "Rich India Housing Pvt. Ltd." is not endorsed by or affiliated with PropertyWala.com. For questions regarding Broker Profiles on PropertyWala.com please contact us.